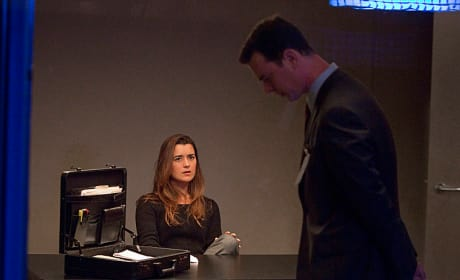 Cote de Pablo is seen here as Ziva on NCIS. The actress announced her departure from the show prior to Season 11. Abby, Ducky and Palmer in a scene from "Damned If You Do." 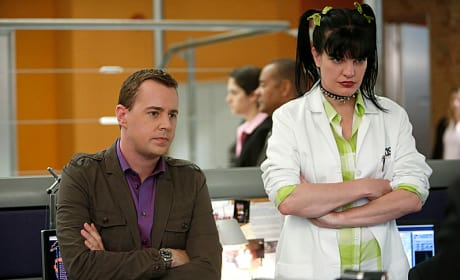 Abby and Tim in a picture from the 10th season finale of NCIS. 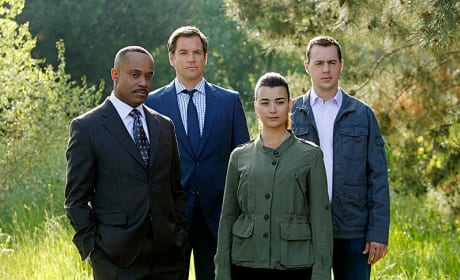 The team is all together in the NCIS Season 10 finale. 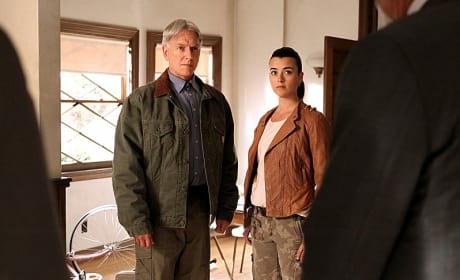 Ziva and Gibbs in the NCIS Season 10 finale. 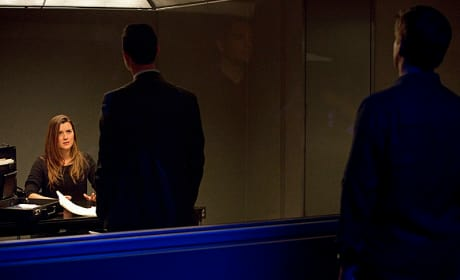 Gibbs and Vance in the NCIS Season 10 finale. 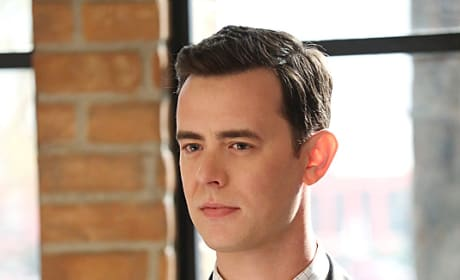 Colin Hanks on NCIS' May 7, 2013 episode, "Double Blind." 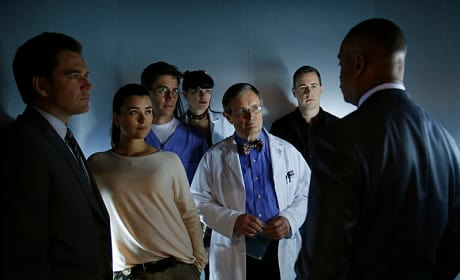 Tony, Tim, Ziva and Gibbs on NCIS' May 7, 2013 episode, "Double Blind." 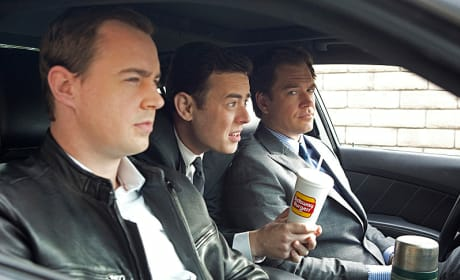 Tony and Tim on a stakeout, with DOD investigator Richard Parsons (Colin Hanks) tagging along. 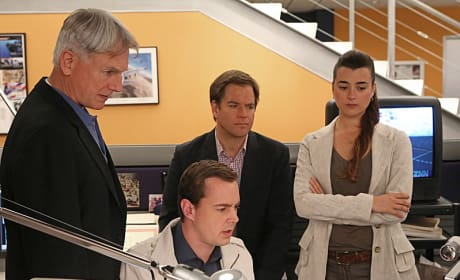 Ziva gets grilled on the May 7, 2013 episode of NCIS. Tony: Couldn't help noticing you're sitting here all alone. I thought maybe you'd want some company? Melissa: Sure. Your partner won't mind? Melissa: I assumed you two are a couple. Just... your shirt. So...pink.